This Ramadhan season is all about giving and spreading love and joy to everyone. Recently Guardian Malaysia, the leading pharmacy, health and beauty retailer has treated 100 children from three charity homes within the Klang Valley to a delightful afternoon out in preparation of the upcoming Hari Raya Aidilfitri. 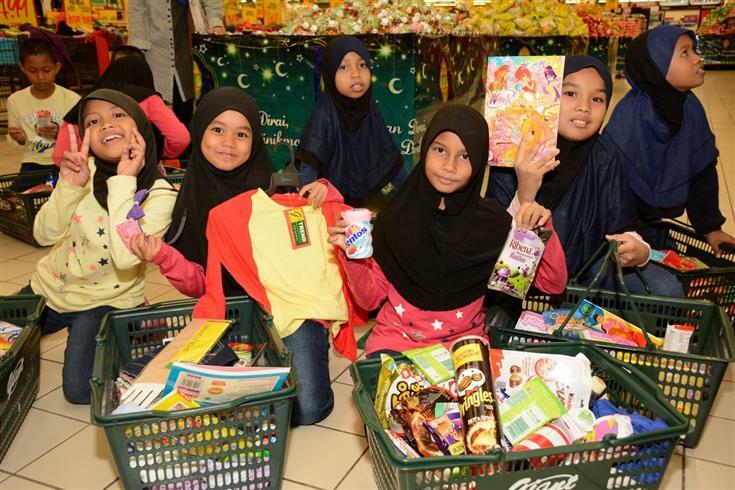 It was a fun-filled event for these 100 children aged 7 to 19 from Yayasan Chow Kit Kuala Lumpur, Rumah Amal Limpahan Kasih Puchong and Rumah Safiyyah Shah Alam who got to enjoy a shopping spree and buka puasa dining with the brand representatives. 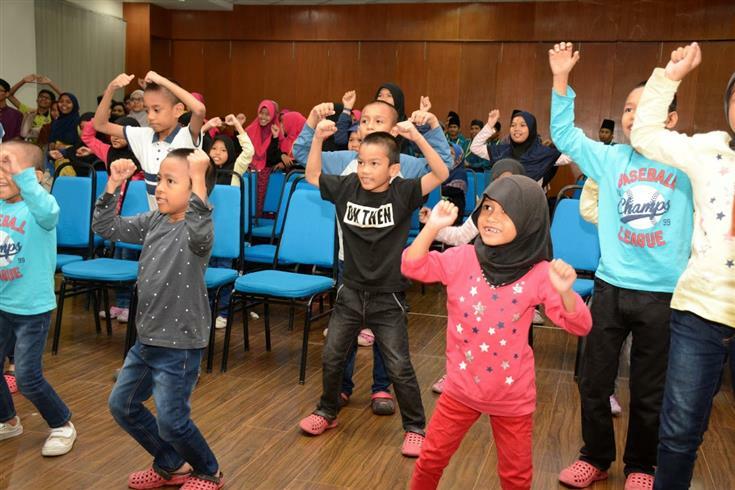 Before the interactive health and nutrition talk by Guardian Health Advisor Aishah Yunos, the kids were warmed up with little cheeky moves along with the children's tune. Then they pocketed much knowledge about the importance of staying healthy such as benefits of drinking water, nutritional facts about food and how food choices affect health. It was a very nice effort for Guardian to educate the children and teenagers about staying healthy from a young age. 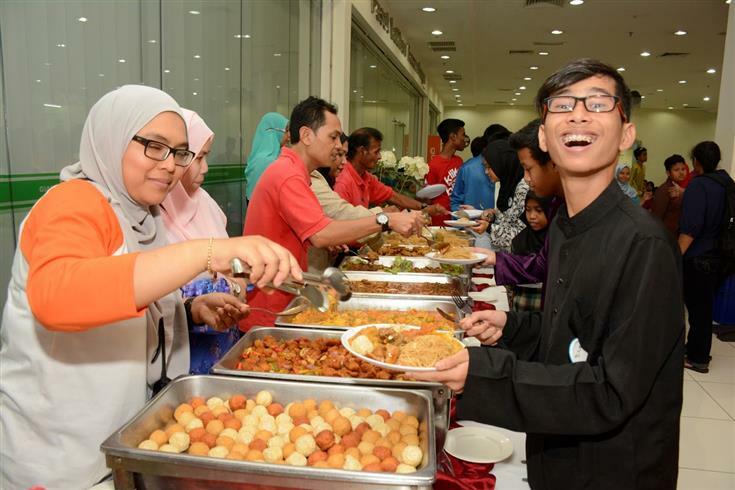 In such way, they would be able to opt for highly nutritious food during this holy fasting month and would not feel lethargic throughout the day. But the best part of this event was certainly the shopping spree at Giant supermarket! Time to stock up on good food and buy Baju Raya! We could really see the children’s excitement, with lively chattering and laughter heard throughout the shopping aisles as 12 Guardian Malaysia team members assisted them with the daunting task of choosing from the myriads of Hari Raya goodies. Everyone came back with smiles on the face because each child was pampered with RM100 worth of goodies, which included festive clothing, snacks, toys, stationery, daily essentials and personal care products. Before bidding goodbye to the lovely kids, we were treated with a sumptuous buffet dinner. Thank you Guardian for the kind deeds, and I certainly hope that Guardian Malaysia’s long-standing Corporate Social Responsibility efforts will continue each year.